Global Manager Group has successfully completed ISO/IEC 17025 Accreditation of WWTP Lab (Water Waste Testing Plant) of QD – SBG Group in Doha, Qatar. Global Manager Group has been provided all necessary support by implementing effective system by taking technical survey, documentation preparation, Uncertainty of measurement training, waste water management system training as well as internal auditor training as part of ISO/IEC 17025 accreditation project. The QD – SBG Group, an industry leader has developed Waste Water Testing Plant and given ISO 17025 consultancy project to Global Manager Group, world’s leading ISO Consultancy company. Global Manager Group has successfully completed ISO/IEC 17025:2005 Accreditation within the given time limits. The ISO/IEC 17025:2005 assessment was done by leading certifying body IAS (International Accreditation Services) USA. The team of highly technical personals have visited and audited lab for all parameters as per ISO/IEC 17025:2005 standards requirements. 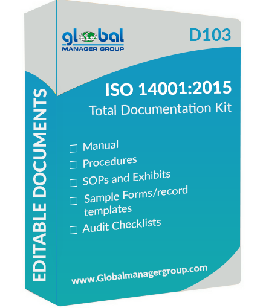 In this highly challenged project Global Manager Group taking care of ISO 17025 documentations, Gap analysis, provides training to staff for ISO 17025 assessment as well as taking internal auditor training for ISO 17025. At the end of the assessment and after successfully clears the ISO audit; WWTP Lab has been awarded with ISO/IEC 17025:2005 accreditation by IAS.